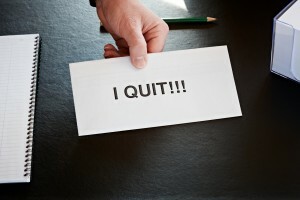 Employees leave their job for many reasons. Companies have little control over some factors, such as if when an employee wish to stay at home with their children, change careers or go back to school. However, the majority of reasons why employees quit their jobs are caused by the action — or lack of action — that a company takes. Good managers know the costs of employee turnover — and those costs aren’t just financial. When good employees leave, productivity drops, morale suffers and the remaining employees struggle with an increased workload until a capable replacement is found. Knowing all that, employee retention should be a primary focus for any successful organization. If your company is struggling with high turnover, consider these four common reasons why employees leave and consider the changes that need to be made to fix them. Lack of appreciation. It can be easy to take a top employee for granted. They do their job every day and because expectations are being, they may not get much communication from management. This lack of communication also means that these employees aren’t being recognized for the work they do. You don’t have to praise your employees all the time, but a pat on the back when someone goes above and beyond on a project or completes a difficult task shouldn’t go unnoticed. A lack of recognition isn’t the only way employees can feel underappreciated. Salary and benefits are also just as important. If you’re paying a hard-working employee as little as possible, it won’t be long until they start looking elsewhere. Everyone wants to be compensated fairly for the work they do and it’s a risky choice to put too much emphasis on cutting costs, whether it be on pay or benefits. Lastly, if you’re not providing a proper work-life balance, you’re ultimately telling your employees that you don’t care. By working them non-stop, you’ll not only make their time at work stressful but you’ll be limiting their activities off the clock as well. This isn’t a push to give your employees unlimited time off since schedules and deadlines still exist. But if having employees work mandatory overtime becomes the norm instead of an exception, employees will leave. Lack of support from management. Similar to a lack of appreciation from management, a lack of general support can leave employees feeling frustrated and disengaged. Management should provide direction and feedback to their employees. Without that, an organization will lack cohesion and struggle to achieve its goals. An example of this is evident when an employee comes to their manager with an idea or issue. If that employee feels they aren’t being listened to or their boss is unwilling to back them up, it will be difficult to maintain a successful team. When there is constant miscommunication or a lack of respect between employee and manager, it can be hard to overcome since it is the most important relationship in the workplace. Lack of career growth. The best employees will always want to take the next step. As a company, there is nothing you should want more than an employee that is interested in the growing their skills and sticking around. However, many companies don’t have the proper plans in place to keep those ambitious employees challenged and set up to climb the company ladder. Don’t let your employees get bored or stuck in the same routine. To solve this issue, every company should have a model in place for individuals to grow. Whether it is a promotion, training on new skills, educational opportunities or some combination of the three, you’ll want to make it clear that there is room for advancement if you work for it. Poor work environment. Out of all the reasons given, this one is the easiest to actually see. If you look around the office — are your employees happy to be there? It doesn’t have to look like a party, but the atmosphere shouldn’t be gloomy all the time either. If there are issues between co-workers, try to work it out as quickly as possible. When a conflict starts, it can grow and develop rapidly, taking control of the mood in the entire office. A positive work environment, on its own, may not be enough for someone to stay, but a toxic one is easy to leave. Although far from a comprehensive list, reflect on these four reasons and take the time to appreciate, support and develop your employees. You’ll have more workers that will want to stay and you’ll be in a much better place to control turnover when it occurs. Robert Hoeft is a marketing assistant at QPS Employment Group.